The idea of founding the European Draughts Confederation emerged in the mid-1990s. The main reason was the willingness to organize club games in Europe. First unofficial meetings of the members of European Draughts Confederation took place in October 1997 in Poland during Women’s World Championship and in December 1997 in Stadskanaal, the Netherlands during Challenge Mondial. After these initial talks, actions were taken to put the plans into practice. On 13 August 1998 in Tallinn, Estonia representatives of 12 European federations met and brought EDC into existence officially. 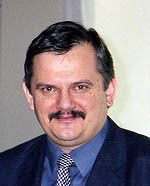 Jacek Pawlicki was elected first President of the European Draughts Confederation. Already next year the official draughts calendar was considerably widened. Beside European Championships, which already had their tradition, Women’s European Championships were started. European Club Championships, which are held regularly, always bring together the greatest draughts players. EDC did not forget about the youth. In 1999, the first Youth European Championships were held with 98 draughts players. During the last few years, the number of competitors has been around 200 and the number is increasing year by year.